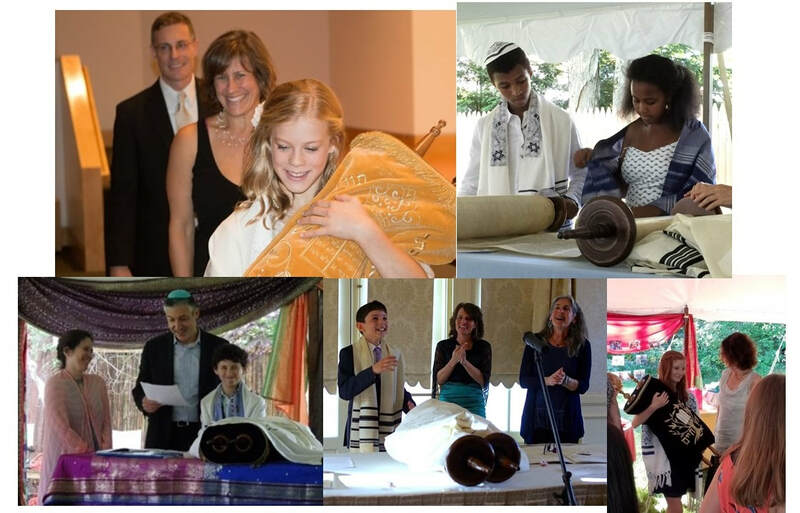 In partnership we create joyful, personal, and meaningful Bar/Bat Mitzvah ceremonies. Over the course of a year, we offer 1:1 lessons to provide both a specific and general education tailored to the unique needs of each family. In addition to text preparation, a broader survey of Jewish life is examined through film and literature that addresses coming of age issues for young adults. The CJL Bar or Bat Mitzvah one hour service, is mostly held on Saturday evenings. It includes three Torah aliyot, a talk given by the student, blessings from parents and meaningful additions (poetry, music, movement, film) to personalize and enhance the celebration. The ceremony is held at a venue of the family's choosing including: hotels, restaurants, art and conference centers, back yards, university campuses, museums, parks etc. "I just wanted to thank you again. You truly transformed our Bar Mitzvah experience. It was a more meaningful personal experience than I ever imagined. The weekly lessons that were far more interesting and challenging than simply learning the Parsha and service - they made Auggie's Jewish education so much more deep and expansive. The service which you adeptly designed and customized for our family and friends was perfect, even our slip ups, made the gathering more jovial and sweet." "Several guests told us it was the best bar mitzvah they've ever been to. And 'this is what a bar mitzvah should be.' Personal, intimate, laid back, joyful. Exactly what we wanted." "Life cycle events can be joyous and stressful; Alison emphasizes the joy and helps smooth over the stress. She listened to my family's needs and was able to meet us where we are in terms of practice and personality style. Can't recommend her more highly."